VidCon is in full swing this week, so that means big time YouTube-related announcements are arriving alongside all of the vloggers and YouTubers getting chased around by screeching 10 year olds. It’s good times if you like all that YouTube has to offer and/or are a screeching 10 year old. We already told you that YouTube TV is expanding to 10 new markets, but the regular YouTube app experience is gaining new goodies as well. Remember that messaging feature that we wrote up over a year ago? It’s finally coming! Also, videos within the app will soon be able to “dynamically adapt” to whatever size you think you might want to watch them in. Neat, neat. 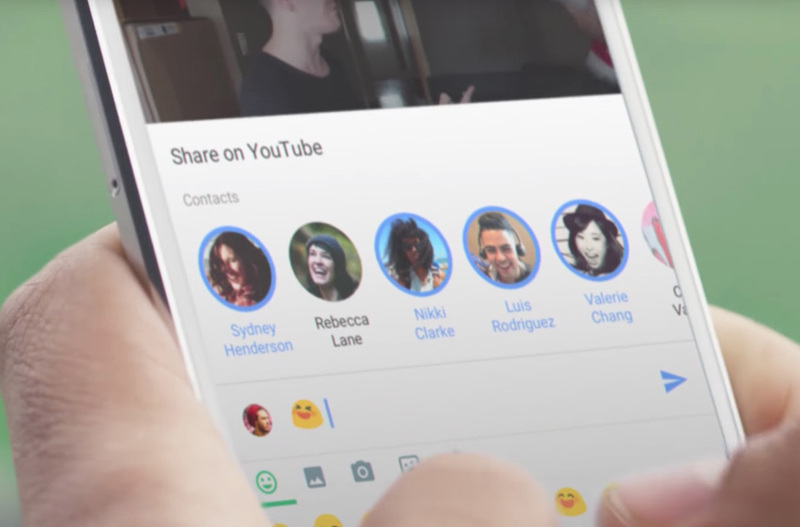 So that messaging thing is YouTube’s new way to share videos with friends without leaving YouTube. When first announced, we did a bit of head-shaking at Google over this being yet another messaging platform, but it actually does make some sense. I could picture a scenario where you and a group of friends have a long-running thread of all of the dumb videos you find funny on YouTube. Or maybe it’s new music you are turned onto. If anything, it’s a removal from your daily messaging grind and a place to simply share entertainment on YouTube. You get the point. To see how that’ll all shake out, check out the video at the top of this post. As for the dynamically adapting stuff, see the GIF below. YouTube explains this move as there being multiple video layouts and your app should display them properly no matter how they were filmed. They could be square or vertical (bad!) or horizontal, but that won’t stop YouTube. The new sharing feature is coming to Latin America first (“couple of weeks”), then onto the US. The scaling stuff should be everywhere in a couple of weeks.